Whatever your business, TRANSITIC brings your textile products to life. As the exclusive distributor for the French market, we offer the VEIT, BRISAY and KANNEGIESSER range of products to meet the highest demands in textile finishing. 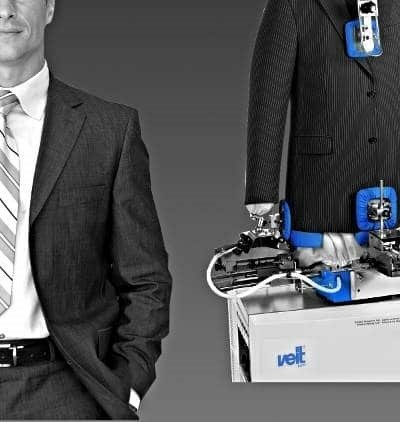 For over 50 years, VEIT has specialised in professional products for hand ironing. A leader in research and innovation, VEIT combines high quality standards with respect for the finished product. Pressing stations have a modular composition and can be tailored to each work area. All have been designed so that work surfaces can be optimally tailored to each type of textile. 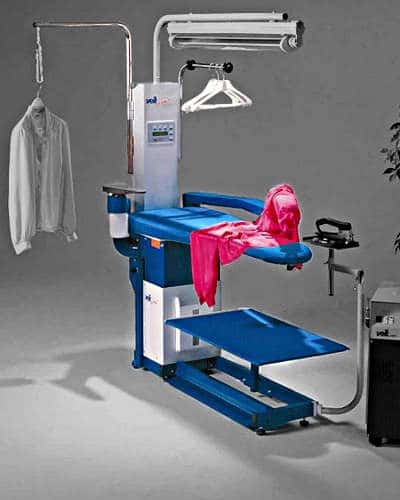 Pressing stations are developed for the clothing industry as well as for sewing and clothing shops. 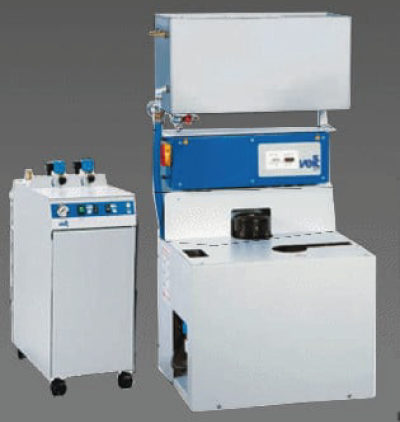 Veit-Kannegiesser heat sealing systems are designed for laminating and melding different types of soft materials with an adhesive film, such as leather, felt cuttings, quilted fabrics or knitwear. The temperature of the heating area can be adjusted separately or simultaneously. The productivity ranges from 800 to 4,000 garments per hour, and this model is ideal for large volumes. We customise each installation to the specific requirements of our customers, and the tunnel finisher comes with modules for preheating, steam and air. The steam dummy is a simple finishing appliance that meets your requirements for all garment types, such as jackets or trousers. Great attention has been paid to ensure the user friendliness and ergonomics of steam dummies. The steam dummy’s air output is adjustable and suitable for all fabric types. The appliance can steam over 100 garments per hour. All dummy busts are adjustable to fit all sizes. 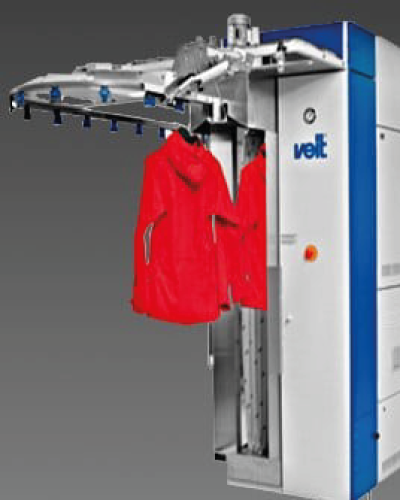 The Veit steam generator iron operates at different power levels, ranging from 2.2 to 60 kW. All appliances are fitted with an adjustable steam flow so the steam can be increased for heavier materials. All VEIT steam generator irons can be adjusted to suit your requirements. VEIT strictly adheres to European safety regulations and guidelines for all its steam generators and iron models. 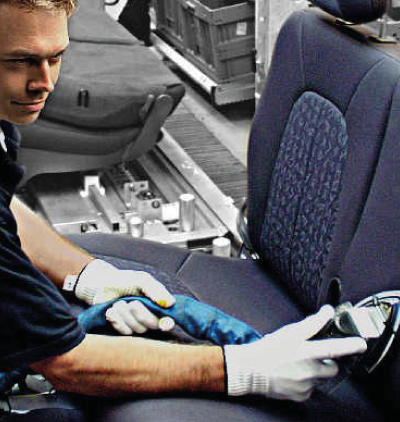 Discover our products designed especially for the automotive sector, providing excellent finishing quality for all fabric- or leather-covered surfaces. From hand pressing to automatic finishing, from heat sealing to laminating and steam generators, TRANSITIC offers a wide choice of VEIT and Kannegiesser solutions to help increasing productivity while ensuring the highest quality finish. Our dividing hangers are designed to organise storage by creating areas on racks or wardrobes indicating different types of items. 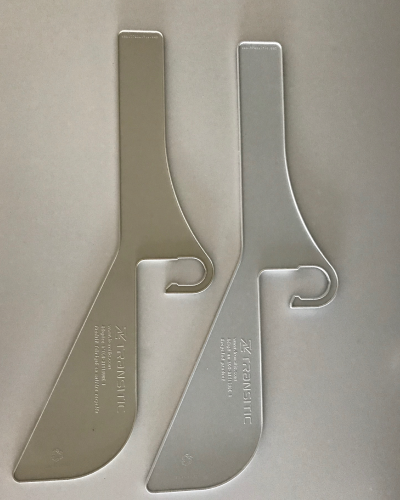 Our hangers are perfectly balanced and can carry any type of identification label (barcode, RFID or other). The identifications are thus always visible, especially from the storage aisles. 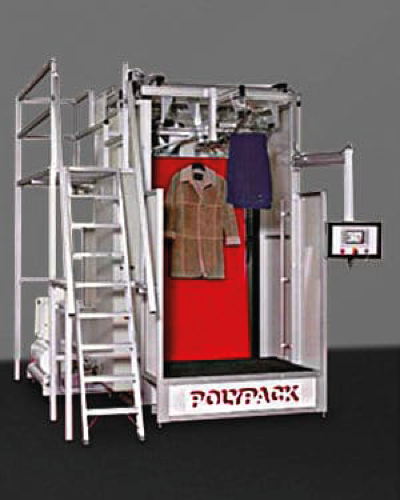 World leader Polypack provides innovative garment bagging machines that allow garments to be wrapped not only quickly and automatically but also individually or in small batches. It is ideal for clothing and steaming workshops as well as textile mills. Bagging capacity depends on machine size but ranges from 40 to 1400 items per hour. The bagging machine will ensure that your clothes are protected immediately after production.